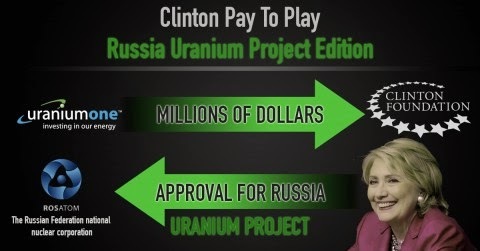 by Tyler O'Neil: On Wednesday, a former FBI informant testified to three different congressional committees that Russian officials paid a lobbying firm to convince then-Secretary of State Hillary Clinton to approve the Uranium One deal. The effort came at a time when Russian nuclear executives were still working with Iran, and as Russian spies infiltrated Clinton's inner circle. The informant, William Campbell, worked with Russian nuclear executives and provided extensive information to the FBI and the CIA for decades. His testimony led to the arrest and conviction of Vadim Mikerin —a top official of the Russian nuclear arms subsidiary Tenex and later president of Tenam, the American subsidiary of the Russian government-owned firm Rosatom. Campbell claimed that Mikerin and other executives lobbied Clinton, who served on the Committee on Foreign Investment in the United States (CFIUS), to approve Rosatom's partial purchase of Uranium One, a Canadian mining company with rights to 20 percent of U.S. uranium. At the time, Bill Clinton was paid $500,000 for a speech at the Kremlin-connected investment bank Renaissance Capital, which was promoting Uranium One stock. In a statement obtained by The Hill, Campbell claimed that the Russian government had hired the American lobbying firm APCO Worldwide because it could influence the Obama administration, and Hillary Clinton specifically. Nuclear officials told Campbell "that they expected APCO to apply a portion of the $3 million annual lobbying fee it was receiving from the Russians to provide in-kind support for the Clintons' Global Initiative." The specific contract "called for four payments of $750,000 over twelve months," Campbell wrote. "APCO was expected to give assistance free of charge to the Clinton Global Initiative as part of their effort to create a favorable environment to ensure the Obama administration made affirmative decisions on everything from Uranium One to the U.S.-Russia Civilian Nuclear Cooperation agreement." APCO Worldwide emphatically denied Campbell's report, saying its work "on behalf of Tenex and The Clinton Global Initiative were totally separate and unconnected in any way." Nick Merrill, a spokesman for Clinton, also dismissed the informant's account. “Just yesterday the committee made clear that this secret informant charade was just that, a charade," he insisted. "Along with the widely debunked text- message-gate and Nunes' embarrassing memo episode, we have a trifecta of GOP-manufactured scandals designed to distract from their own President's problems and the threat to democracy he poses." 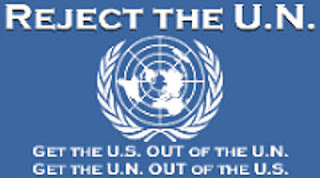 According to U.S. government figures from 2016, the U.S. imports more than 90 percent of the uranium for nuclear reactors. Campbell testified that he was bothered by the Russian attempts to infiltrate the U.S. uranium market. “In 2010, officials inside Tenex became interested in helping another Rosatom subsidiary, ARMZ, win Obama administration approval to purchase Uranium One, a Canadian company,” Campbell testified. “Although Tenex and ARMZ are separate subsidiaries, Tenex had its own interest in Uranium One. Tenex would become responsible for finding commercial markets and revenue for those uranium assets once they were mined." Campbell described these efforts as part of the "Russian uranium dominance strategy." Before the Uranium One deal, the FBI had already gathered evidence of Russian corruption in U.S. uranium — through Campbell — but the agency kept that investigation secret. At the same time, the FBI acted quickly to arrest ten Russian spies as part of "Operation Ghost Stories." According to a top FBI official, the agency acted quickly because the "deep cover" agents had come very close to "a sitting US cabinet member." Who, specifically? Why, Hillary Clinton. In June 2010, Barbara Morea, president of Morea Financial Services in Manhattan, confirmed that "Cynthia Murphy," Russian External Intelligence Service (SVR) spy Lidiya Guryeva, was a longtime employee and vice president at the company, which managed the finances of Alan Patricof, a top Democratic donor who fundraised for Clinton's Senate and presidential campaigns. Federal court documents confirmed the connection between Guryeva and Patricof, suggesting Clinton was the official the FBI attempted to protect. The FBI arrested the Russian spies on June 28, 2010, one day before Bill Clinton's speech at Renaissance Capital. Despite the FBI investigation into Rosatom, CFIUS fast-tracked the Uranium One approval, finishing it in 52 days, rather than the mandatory 75-day review process. To make matters worse, Uranium One's chairman directed $2.35 million in contributions to the Clinton Foundation. Clinton's ties to Russia might explain why she would be a tempting target for Russian spies, and for Russian nuclear executives. As secretary of State, she pledged to "reset" relations with Russia. She opposed the Magnitsy Act to sanction Russian oligarchs, and told Russian television that "our goal is to help strengthen Russia." The Obama administration wasted no time in sending the ten spies back to Russia. The U.S. exchanged them for four Russian nationals on July 10, less than two weeks after their arrest. This was remarkably fast for a Russia-U.S. spy swap. Finally, Campbell had reported in April 2010 that Russia had been providing uranium to Iran, in support of the Islamic Republic's nuclear program. "Tenex continues to supply Iran fuel through their Russian company," Campbell wrote in that 2010 report. "They continue to assist with construction consult [sic] and fabricated assemblies to supply the reactor. Fabricated assemblies require sophisticated engineering and are arranged inside the reactor with the help and consult" of Russians. By approving the Uranium One deal through CFIUS, Clinton may have unwittingly aided Iran, despite American sanctions on the Islamic Republic. As with each step of this tragic story, it seems an FBI memorandum with Campbell's information to Congress or to other members of CFIUS could have prevented the Uranium One Deal. “I was speechless and angry in October 2010 when CFIUS approved the Uranium One sale to Rosatom. I was deeply worried that TLI continued to transport sensitive uranium despite the fact that it had been compromised by the bribery scheme,” stated Campbell in his testimony to lawmakers. “I expressed these concerns repeatedly to my FBI handlers. The response I got was that 'politics' was somehow involved. I remember one response I got from an agent when I asked how it was possible CFIUS would approve the Uranium One sale when the FBI could prove Rosatom was engaged in criminal conduct. His answer: 'Ask your politics.'" What could be more political than the influence of Hillary Clinton — a woman of considerable influence who almost became Obama's successor as president? No wonder her spokesman is so quick to deny everything. Contrary to Democrat claims that Campbell is not reliable, the FBI paid $50,000 for his services, and based their case against Vadim Mikerin on his reports. Interestingly, one man connects the Uranium One scandal to the current Russia investigation. Jonathan Winer, onetime registered foreign agent and Senate staffer for John Kerry, served as senior vice president at APCO Worldwide during the Uranium One scandal. Winer, as a member of Obama's State Department in 2016, fed information to former British spy Christopher Steele as he compiled the infamous Clinton campaign-funded Trump-Russia dossier. Tags: PJ Media, Tyler O'Neil, Russians Lobbied, Hillary Clinton, Uranium One, Spies Infiltrated, Her Inner Circle To share or post to your site, click on "Post Link". Please mention / link to the ARRA News Service and "Like" Facebook Page - Thanks!